The Wrap reports that Tremaine Brown Jr., Justice Smith, Shameik Moore, and Skylan Brooks have been cast as the leads in the Netflix musical series The Get Down. The show is set in ’70s New York City, where “a rag-tag crew of South Bronx teenagers are nothings and nobodies with no one to shelter them—except each other, armed only with verbal games, improvised dance steps, some magic markers, and spray cans.” Since the show is being developed by Baz Luhrmann, you can presumably look forward to a lot of groovy set pieces and alarming histrionics. There are so many appropriate reactions to these character descriptions, like wondering to what extent being mechanically-inclined holds one back from getting down and thinking that “brimming with unrequited love” sounds pretty gross. Regarding the cast, Luhrmann said, “The actors we are privileged enough to invite into the roles of Ezekiel, Shaolin Fantastic, Boo-Boo and Ra-Ra all have the distinction of being from such diverse backgrounds—from performing in subways in the Bronx to the music scene of Atlanta, and of course Los Angeles.” Although they are relative newcomers, some of the actors have appeared in other projects. Smith starred in Paper Towns, which will be released this summer by Fox 2000. Meanwhile, Moore starred in the 2015 Sundance film Dope, and Brooks starred in The Inevitable Defeat of Mister & Pete and can next be seen alongside Jake Gyllenhaal in Southpaw. Brown Jr. is a true newcomer who was discovered performing in the New York City subway. 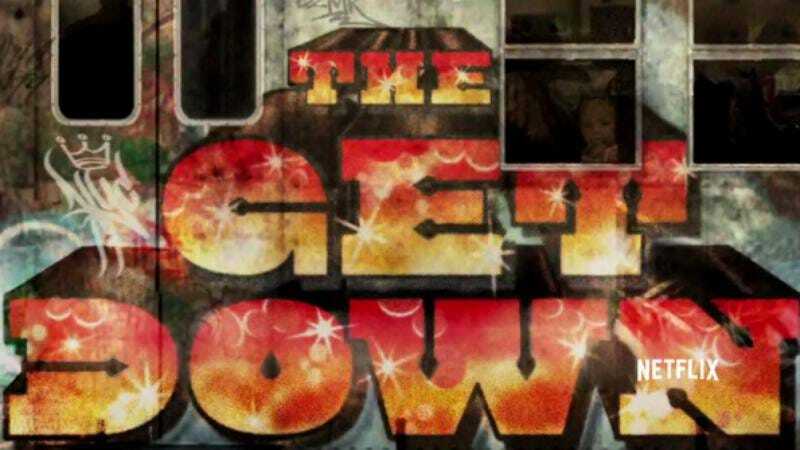 The 13-episode first season of The Get Down will unleash its charming naïveté and high kicks in 2016.